This church apparently suffers no squirrels. 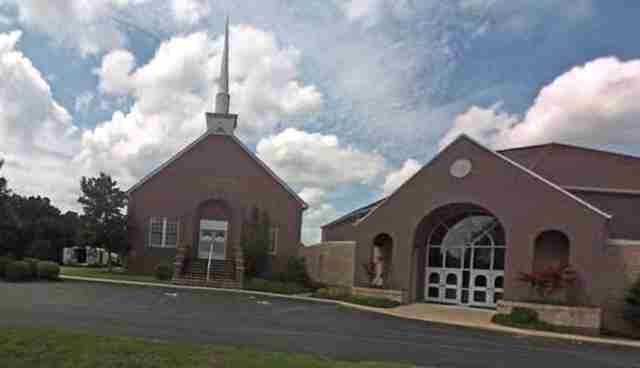 In fact, New Harmony Missionary Baptist Church in Kentucky seems to exult in its first squirrel hunt, which sees families bonding and purportedly getting closer to God through killing His alleged creations. Dozens of pictures of dead and dying animals are circulating on social media after last weekend's hunt - including a grisly image of a squirrel impaled against a tree with an arrow. Squirrel hunters compete for a chance to win a pair of brand new rifles. Don't worry, the church invitation assures contestants, there are also plenty of door prizes. Many of the squirrels are left dying and orphaned. "This time of year, squirrels are often pregnant or have young babies in their nests," a local resident, who only wishes to be identified as Karen, tells The Dodo. "So not only are they killing all these squirrels, they're orphaning so many more. Many more are left out in the field to die." The hunt has sparked not one, but two online petitions protesting the hunt. In all, more than 70,000 people have signed them. But the protest has also sparked a bitter backlash, apparently among the contestants who don't take kindly to outsiders telling them their squirrel-hunting business. "We're just horrified," says Karen, who is also an admin for the Facebook page New Harmony Missionary Baptist Church Killing The Innocent. "They somehow were able to find out who we, as page admins, are, and Photoshopped pictures of us, sent us private messages, posted our private contact information." The Facebook page was also inundated with "hundreds of gruesome images." 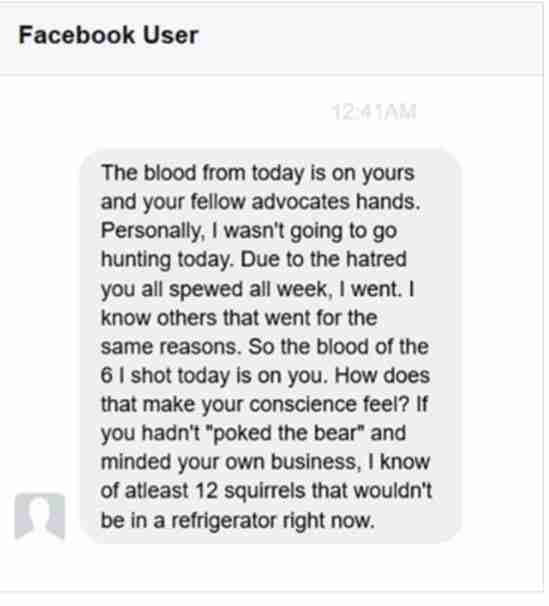 It's all, understandably, overwhelming for the Facebook group administrators, who have come under fire from squirrel hunting enthusiasts. "We're not an organization," says another admin in a phone call with The Dodo. "We're just three people basically. Me and a friend started this. Then another friend joined in. "What we're trying to do at this point is prevent it from happening again." Of course, killing squirrels for fun and profit is not only the domain of a certain church in Benton, Kentucky. Several U.S. communities host so-called squirrel slams. Holley's annual hunt has also seen a storm of protest - in 2013, Friends of Animals even offered the fire department $4,000 to cancel the event - but the dubious tradition has persisted. And worse, as Karen in Benton, Kentucky, explains, the notion of killing other living beings is passed down to future generations. "They need to know the squirrels are being orphaned," she says. "And that they feel pain. The children also participate to please their parents or the pastor - and they carry on this culture." Want to help put an end to it? Start in Benton, Kentucky. Let City of Benton officials know how you feel about it here. Or, perhaps even better, come out and show some love for squirrels - and perhaps a nut or two - for Squirrel Appreciation Day later this month.